For todays post I decided to share a beauty hack with you. But it gets better because its 2 hacks 1 product.!! Yes baby powder is missing from your makeup bags.!! It may not come in every smell under the sun like most products but I never met someone who doesnt like the smell of baby powder.. and we all have a bottle of it laying around our house so why not put it to good use. Pop some on the roots of your hair just like any other dry shampoo rub it in/dust it off (we've all been there, that embarrassing moment when someone has to point out the white patch in your hair!) and away you go.! Before you think Im crazy lets clarify that I mean makeup baking not to be used in desserts.! Yes baby power can be used instead of banana powder when baking your face.! I know that the banana powders we see so many makeup artists use can be very expensive. Its a lot to fork out on if you just want to try this trend and see what it does for you. Thats why baby powder is the perfect alternative and gives you the same result.!! Baking is when let a translucent powder sit on your face for 5-10 minutes in order for the heat from your face to set your foundation or concealer. Once dusted off your foundation is left ceaseless and flawless.! Want to know wheres the best place to bake? 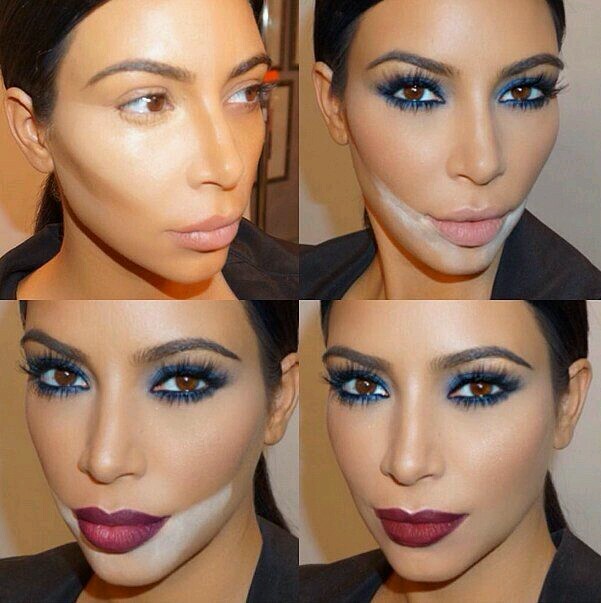 Kimmy K got you covered, she always bakes and her makeup is always flawless.! !